Are you a non-citizen in threat of being deported due to being convicted of a crime? As you may know, prior to January 1, 2017, if you were no longer in custody, you could not vacate a conviction or sentence using a habeas corpus petition. This meant that non-citizens with convictions could be deported or suffer other harsh immigration consequences. The good news is that non-citizens in California can now use California Penal Code 1473.7 to file a motion to vacate a conviction and clear their criminal record. Newly discovered evidence that can prove innocence. This new law has become especially important with a growing number of non-citizens who are forced to plead guilty due to ineffective assistance of counsel. Having an attorney with immigration law experience can make all the difference and help you avoid deportation. 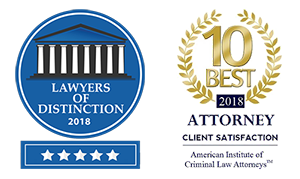 It is worth getting a free consultation from an attorney that has experience filing motions to vacate convictions and stopping immigration consequences such as deportation. Avoid deportation in California by contacting Daryl Anthony, Attorney at Law! Daryl has experience with immigration law and has already prevented numerous non-citizens from being deported by using California PC 1473.7.